Tom Brady and the New England Patriots won Super Bowl Llll against the Los Angeles Rams with a final score of 13-3. This year’s Super Bowl was the lowest scoring Super Bowl in NFL history. In the beginning of the game, there was not much offensive gameplay of the Patriots nor the Rams. Patriots lead the scoreboard in the first half with a dull start of 3-0. For the annual halftime show, the NFL failed to appoint any performer to headline due to the controversy of Colin Kaepernick. After his weekly political protest of kneeling during the National Anthem, the former 49er’s quarterback could not sign onto any team, sparking headlines and outrage. Multiple music artists, in support of Kaepernick, then led their own protest by refusing to perform the seminal halftime show. After declining, Cardi B explained to The Associated Press: “I got to sacrifice a lot of money to perform. But there’s a man who sacrificed his job for us [Kaepernick], so we got to stand behind him.” Maroon 5 then accepted the offer with Travis Scott and Big Boi as special guests. Confidently, Adam Levine stood as the frontman for the entire act and performed the majority of the time. Travis Scott started off his part with a Spongebob Squarepants “Sweet Victory” intro and performed his Astroworld hit, “SICKO MODE,” and finally, Big Boi made an entrance by showing up in a car and singing “The Way You Move”. In the third quarter, the Rams were able to the tie the game with the score of 3-3. 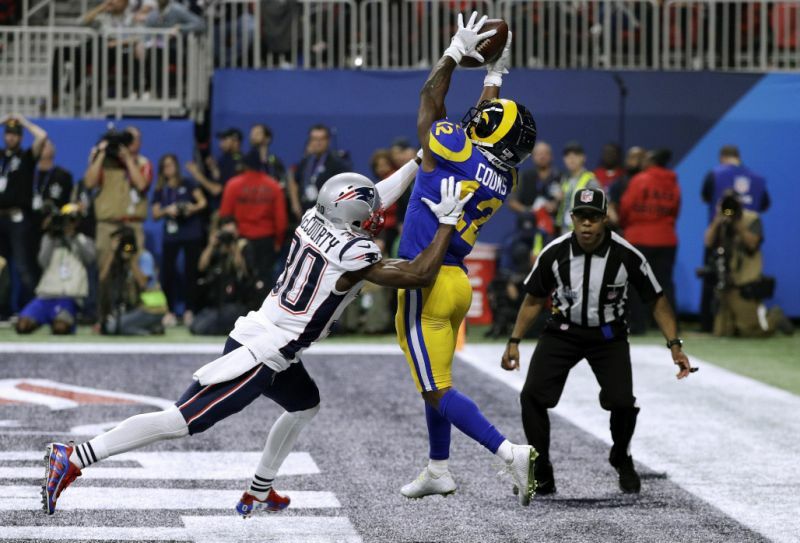 However, in the fourth quarter, as the Rams were in scoring position, the Patriots intercepted the ball took the lead by ten points. The Rams fell short of making a comeback as the time expired. With the Patriots winning, Tom Brady got the 6th Super Bowl ring of his career by defeating the Rams with an ending score of 13-3. As always, there were some memorable commercials during the Super Bowl. Pepsi advertised with Steve Carell, Lil Jon, and Cardi B and Doritos featured Chance the Rapper and the Backstreet Boys. Additionally, Marvel Studios premiered a new trailer for both Captain Marvel and Avengers: End Game. Finally, Pixar showed a new trailer for Toy Story 4. Overall, Super Bowl LIII proved to be extremely underwhelming compared to previous years. As shown by the sudden dip in ratings, further proving the NFL’s failure to grasp American audiences’ attention.